Alchemy in the Kitchen: Tomato and Carrot Soup – bloomin’ luverly! Tomato and Carrot Soup – bloomin’ luverly! As a small child, himself knew his great grandmother, a Victorian lady who apparently had a habit of going around with her skirt tucked into her bloomers. Her great grandson remembers that she adored tomato soup, which she would sop up with chunks of bread. I never met her, but I have a vision of a Queen Victoria-like figure schlurping up her soup, then wiping her tomato-stained gob with a lace-cuffed sleeve – a sort of Eliza Doolittle character. I asked if the Victorian’s soup was likely to have been homemade. Himself is inclined to believe that it was tinned. Today’s recipe is homemade… from a tin - or rather a carton. 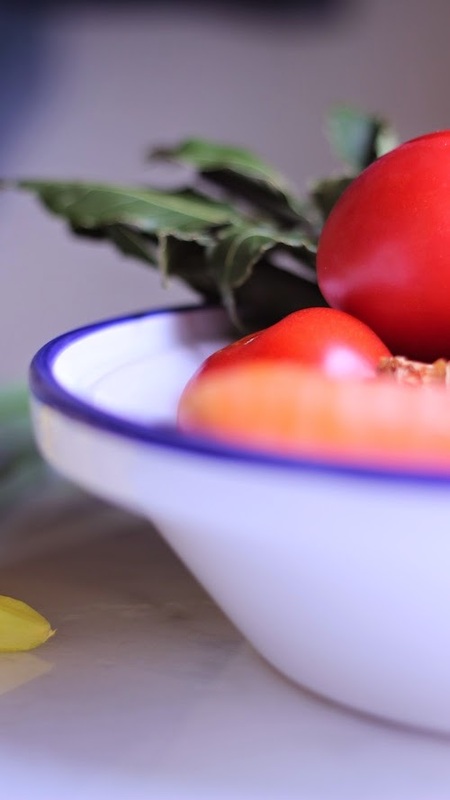 That might seem a contradiction in terms however, unless you have a fantastic supply of sun-ripened San Marzano tomatoes, you’re much more likely to get the best flavour for soups and sauces from pasata (sieved tomato pulp) or tinned tomatoes. Look for brands with a conscience and go for products with nothing added. There should only be one ingredient on the label. Tomatoes! Heat the olive oil in a large saucepan over a medium heat. Add the carrot and onion. Give them a quick stir to coat them with the hot oil then turn down the heat, cover and allow to cook gently without colouring for about 8 minutes. Next, add the diced potato and chopped garlic, stir and once again, cover and this time allow them to cook for about 4 minutes. Next add the pasata, stock, thyme and sugar. Turn up the heat until the liquid comes to simmering. Lower the heat, cover and allow to simmer gently for about 15 minutes or until the vegetables are tender. Blend the contents of the saucepan to a smooth cream – a stick blender is perfect. Taste and add salt and pepper to suit your palate. I scattered the top of the soup with a little proscuitto and some finely chopped fresh celery leaves. Other toppings I like for this soup are shredded fresh basil; Parmesan croutons with fried bacon bits; or a simple swirl of crème fraiche, though I'm not beyond following the Victorian's example! This looks so velvety and good. A perfect Lenten meal. Oh to have photos of granny with her skirt tucked into her bloomers and slurping soup. I think she would have had a double serving of this carrot and tomato soup. I've never had this but I know I want to. All it needs is a toasted cheese sandwich! And, oh! Such a pretty bowl you have for your soup! Your soup looks so creamy and comforting!